South Africa’s 25 Frozen Edition M3s will be split between 19 black and 6 grey cars. Guess which are set to become the more collectable. Greatness is a peculiar burden... take BMW’s M3 as an example. The German manufacturer’s legendary performance car nameplate turns 25 this year. Perhaps you got an iPod or Golf membership for your 25th birthday. How do you celebrate a quarter-century (and four-generations) of peerless compact performance-car motoring, though? Plainly, BMW had to do something remarkable to celebrate 25 years of M3 and many thought the company would release a contemporary E92 CSL. BMW’s marketing department has – inexplicably – refused to produce a successor to the fabled lightweight special which proved, in E46 guise, that less is most certainly more when it comes to the M3 nameplate. Instead of a second-generation CSL, BMW’s offering 150 units of its M3 GTS to celebrate. Unfortunately, the company’s M3 GTS is a rather extreme exercise in excess. The GTS’s performance billing may be epic but it tries too hard – all manner of flamboyant aerodynamic add-ons and the cabin architecture’s contaminated with pseudo-roll cage tubing. A great deal of the CSL’s appeal was its ability to be both effortlessly focused dynamically while retaining enough of the M3’s subtle styling heritage to operate under the road(robot? )-racing radar during your daily commute. GTS is not an issue for local buyers though; BMW South Africa plainly could not present a business case for the procurement of a few of the 20-odd right-hand drive GTS units destined for global distribution. The car would have been an R2-million proposition locally – a price sure to make even the most ardent CSL enthusiast baulk. 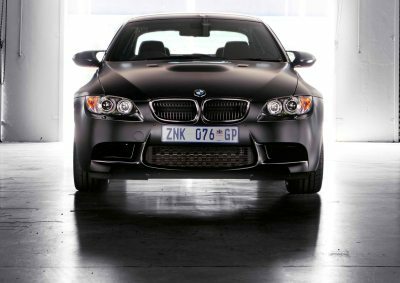 Considering South Africa is the seventh-largest M-car market globally, BMW obviously did not want a state of affairs where its premium performance car customers felt cheated by the unavailability of M3 GTS. Drawing on its heritage of producing locally customised solutions to M3 procurement issues (the unavailability of the original M3 was supplanted by the unique 333i and 325is models created by BMW SA), South African M3 devotees have the option of a new special edition M3. It's not a CSL of sorts, but something supposedly worthy of collector status nonetheless. BMW SA’s fastest and most expensive M3 yet is the Frozen Edition. Yes, instead of some circuit-racing derived moniker this quickest of all locally marketed E92s gains a ridiculously incongruous name. Although BMW SA would dearly have liked to have called it the M3 Schnitzer edition or something similar, due to the presence of a Frozen Edition M3 Stateside, the directive from Germany was to toe the company line aboutto global branding convergence. Whatever, unlike the American market, local Frozen M3s have quite a bit more to offer than some fancy wheels and matte surfacing. Beyond its tremendously silly name, BMW would like you to believe there is real substance to the Frozen Edition’s dynamic superiority over its series production E92 siblings. It is a negligible 0.43secs faster from 0-200km/h than the standard M3. Peruse the V8 output graphs and there are neat increases in both power and peak rotational force noticeable over the stock E92. With an additional 21kW and 20Nm more torque, the Frozen edition’s 330kW/420Nm engine statistics are undeniably impressive. Unpack the detail behind these gains and M3 traditionalists may be a trifle upset to discover the newfangled engine performance is courtesy of aftermarket tuner AC Schnitzer’s and not an in-house engineering application by the M-division. A recalibrated engine management system harmonises AC Schnitzer’s intake manifold and exhaust plumbing – the two modifications chiefly responsible for the Frozen edition’s increased dynamometer yield. Now it's all fine and well that BMW’s comprehensive motorplan and warranty is not affected by the presence of these AC Schnitzer bits, being TUV-certified and of the very best German quality. Brand-neutral observers will find it a touch odd to have a special edition M3 with aftermarket tuning bits instead of pure M-division hardware. Perhaps I'm being pedantic, though, AC Schnitzer does have a long history of preparing BMW’s endurance racers. Enthusiasts who miss those localised specials such as the 333i and 325is will cheer the return of a uniquely South African BMW performance-car alternative. You might take issue with the principle of marketing a special-edition M3 buoyed by AC Schitzer bits but, if the E92’s (very) considerable dynamic capabilities are suitably enhanced in so doing, BMW’s Frozen Edition fully justifies its execution. M3 Australian Touring Car edition? BMW let the local motoring media sample its Frozen edition at Kyalami this week. South Africa’s famous anti-clockwise circuit was dry and the Frozen Edition could be extended without being constrained by to the elements. With a standard E92 on hand, back-to-back four-lap sessions would show up what the Frozen gains were worth. All 25 Frozens will be dual-pedal cars, eschewing the traditional engine speed-matching manual transmission finesse held dear as a significant value of the classic M3 driving experience. The sense of accomplishment that comes from preventing rear-wheel spin-lock with perfectly co-ordinated downshifts (right foot modulating throttle and brake simultaneously) is undeniable, yet probably a worthwhile sacrifice considering the ability of BMW’s ZF-sourced seven-speed DCT transmission. Besides, even a car as focused as the Frozen Edition M3 will not spend even half its operational life on circuit. In a severely trafficked urban environment a dual-clutch transmission is infinitely more tolerable than depressing the heavily bolstered far-left pedal of an H-gate manual. Slide in behind the helm and, apart from the red contrast stitching that joins some trim surfaces, there is little to distinguish the Frozen Edition from its lesser M3 brethren. Actuate the starter button, touch-engage the DCT shifter, select first with right-side shift paddle, feed in some throttle and you roll forward on a groundswell of disappointment. I was probably silly to expect an E92 CSL. The Frozen Edition has not sacrificed any comfort or convenience items in the interest of dynamics - it weighs 1600kg. Its billing as a localised GTS appeared fallacious too at first, despite the single kW power output discrepancy. The temperature tipping point was 3500rpm. From there right up to the 100rpm more generous red-hued warning zone of the tachometer at 8400, the Frozen Edition’s V8 engine, courtesy of its Schnitzer induction and gas extraction kit, converts unleaded fuel into emissions with an acoustic signature that would have Australian V8 Touring Car fans spilling their Foster’s in amazement. Bluntly, the Frozen Edition makes the kind of sound BMW’s M3 race cars would if the Munich brand ever returned to DTM racing. Not only does it sound astonishing but those additional 21kW are hardly intangible statistical sophistry either. You can feel the supplementary shove tightening the line into Sunset and powering out of WesBank, with a touch more outside wheel surface on the lollipop strips than is the case in a stock E92. The M3’s dynamic harmony – its steering agility, near perfect driving position (buoyed by the steering wheel’s upright posture) and settled aft axle under severe deceleration – gains a touch of hooligan appeal with the Frozen edition’s added urge. Admittedly much of the Frozen edition’s appeal (its hybrid DTM/NASCAR V8 soundtrack) is best sampled as an onlooker (listener), yet from the helm it is an intoxicating experience chasing down those red-warning lights bars on the tachometer. Cynics would say that all the Frozen Edition'ss increase in power does is offer Reef-based M3 owners the opportunity to sample equal performance to what a standard E92 produces at sea level. Ambling past a display 333i BMW had parked in the Kyalami pits (and having a lusted after Rosslyn’s 325is as a schoolboy) I would like to think of the Frozen Edition as simply the most accomplished M3 yet released for sale locally. African-spec GTS or a faux E92 CSL? The Frozen Edition is neither but its intrinsic value tips the scale of judgement more towards collector’s item status than pure localised BMW novelty - even at a price of R1.18-million.